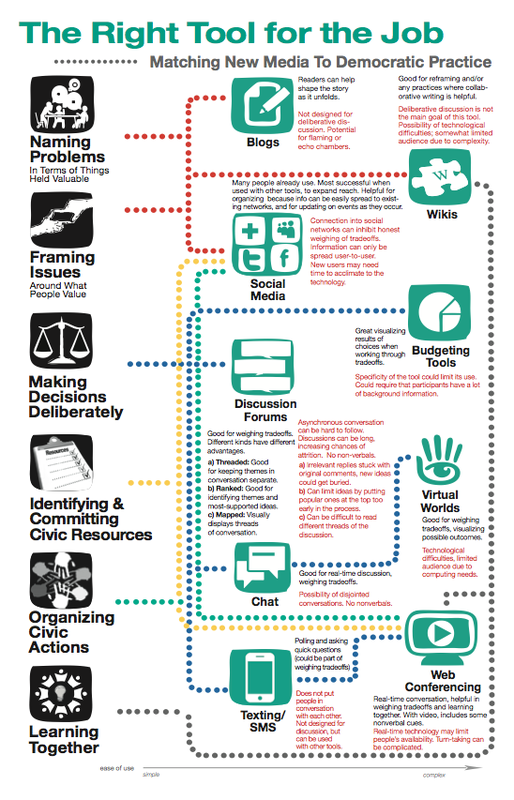 Many civic and deliberative organizations are working to take advantage of the tremendous potential that new and digital media offer for citizens as they attempt to discuss and address problems at both the local and national levels. We know that many of these media (Facebook, Twitter, online forums) are used effectively for self-expression and organizing. There are challenges, however, in taking true deliberation—recognizing tradeoffs, considering other people’s experiences, and making choices—online. 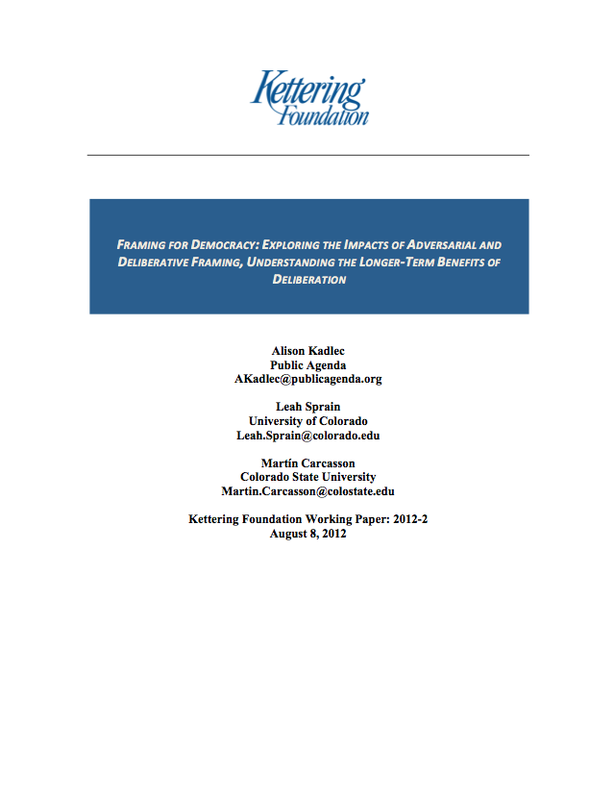 This Kettering Foundation working paper by Laura Black focuses on the question: To what extent can digital media truly offer potential opportunities for deliberative decision making, particularly the practice of deliberation itself? 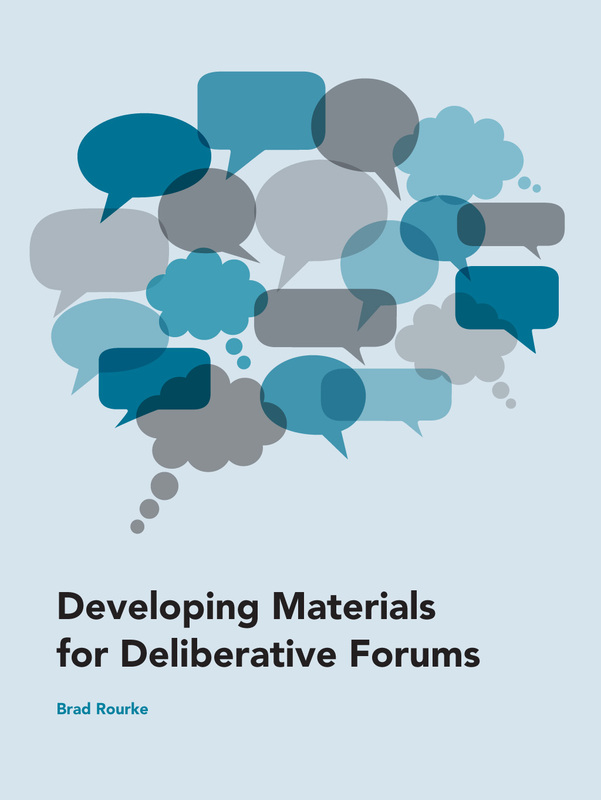 Black assesses the deliberative affordances properties of the different forum design choices. The report concludes by analyzing the implications these choices hold for designing and hosting deliberative decision making as Kettering understands it. Laura Black is an assistant professor at the Ohio University School of Communication Studies. She works with Kettering in our studies of digital deliberation as well as deliberation in everyday speech.